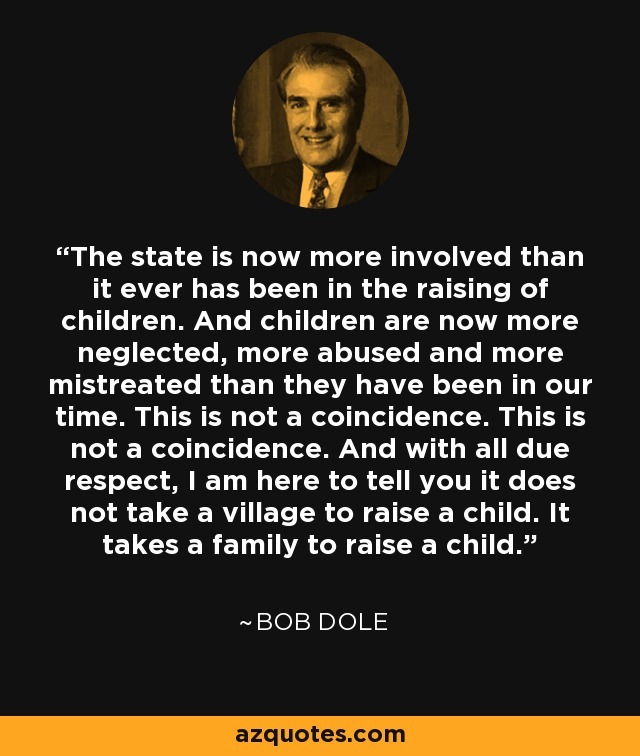 The state is now more involved than it ever has been in the raising of children. And children are now more neglected, more abused and more mistreated than they have been in our time. This is not a coincidence. This is not a coincidence. And with all due respect, I am here to tell you it does not take a village to raise a child. It takes a family to raise a child. Text of Robert Dole's Speech To The Republican National Convention, www.cnn.com. August 15, 1996.